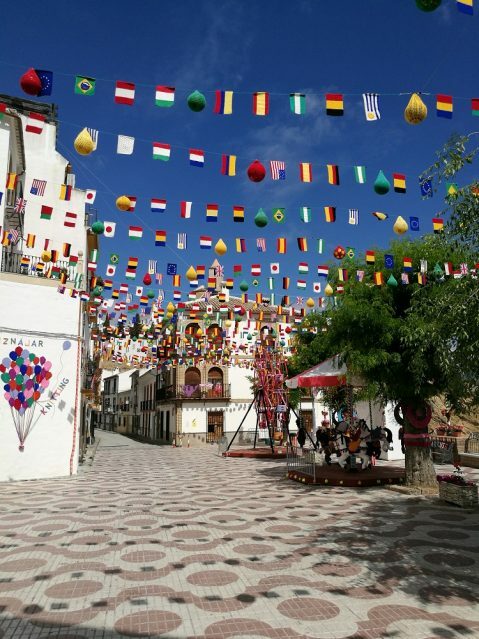 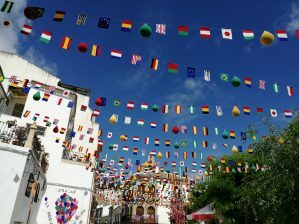 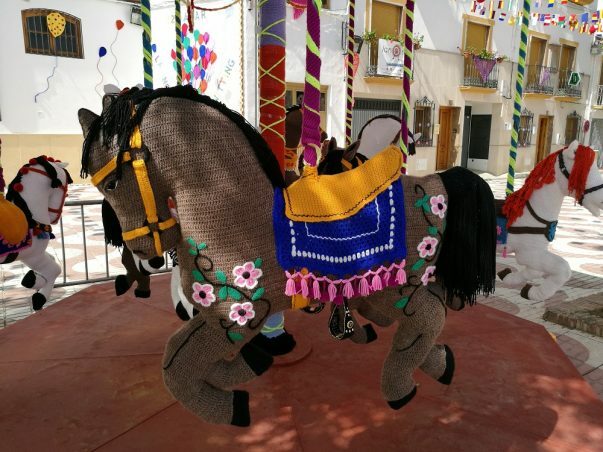 The Lanoria Knitting festival is an annual event held in Iznajar and is one of the most unique things I have seen. 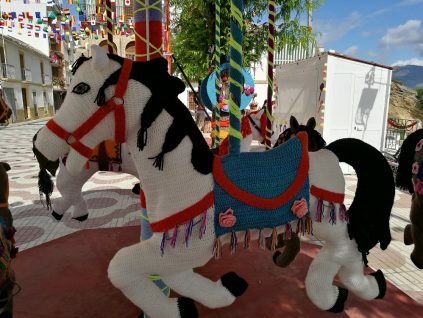 Just look at the photos below, and realise that almost everything you see there has been knitted! 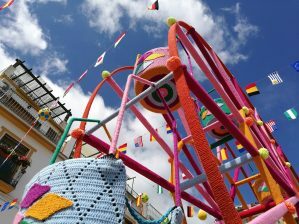 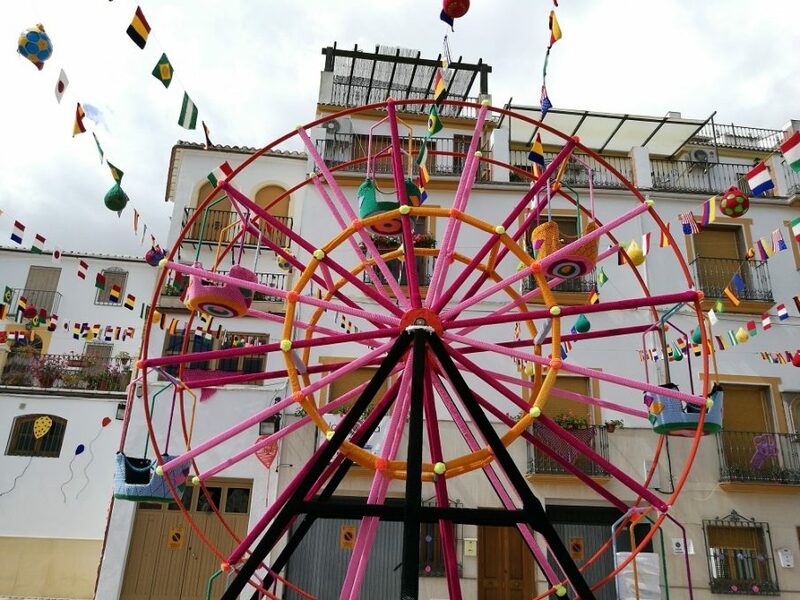 The Carousel, the ferris wheel, the decorations and even the flags are all knitted creations. 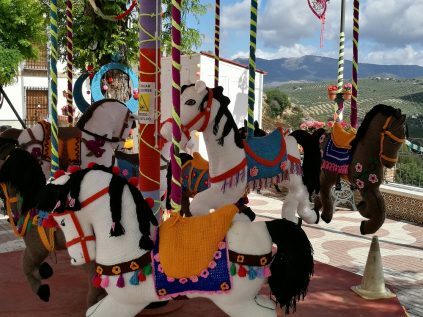 Held annually before Easter, the knitting is on display for a couple of months, and this years display really has out done themselves!